Today, we’d like to take a moment to spotlight our Federal Motor Carrier Safety Administration (FMCSA) Pre-Employment Screening Program (PSP) check. What is a PSP Background Check? 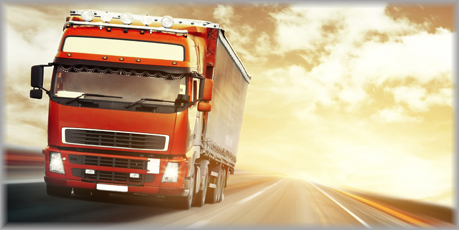 A PSP background check is designed to assist employers in the motor carrier industry to prescreen an individual operators driving history. The Pre-Employment Screening Program (PSP) is a screening tool provided by the FMCSA that allows motor carriers, individual drivers, and industry service providers access to motor vehicle driving records from the FMCSA Motor Carrier Management Information System (MCMIS). A PSP check, also known as the DOT PSP, contains the most recent 5 years of crash data and the most recent 3 years of roadside inspection data from the FMCSA MCMIS system for an individual driver. The record displays a snapshot in time, based on the most recent MCMIS data load to the PSP system. Why Should I Get a PSP Background Check? Recently, the FMCSA completed a safety impact analysis on their Pre-Employment Screening Program. The results showed that transportation companies that used PSP to screen commercial drivers on at least a monthly basis. These companies, on average, lowered their crash rates by 8% and driver out of service rates by 17%. The study results were presented at the 2013 Transportation Review Board’s annual meeting and the presentation has been posted for public consumption. The report demonstrates that using the PSP program is a critical step in making our nation’s highways safer. This allows employers to reduce their liabilities and increasing the availability of in-service drivers. PSP records may be requested solely for the purpose of conducting pre-employment background checks and only with the driver’s consent. Justifacts provides its clients with the required waiver that applicants must fill out in order to complete the background check. Justifacts is fully integrated with the PSP program and will be happy to discuss adding a PSP Background Check to any of our clients existing packages. For more information, please contact us at (800) 356-6885 or email us at sales@justifacts.com.